Recently The Body Shop launched four new make-up removing products within a new collection all scented with Camomile. I don't think anyone expected The Body Shop Camomile cleansing range to be half as popular as it has become but the beauty world simply adores it (so much so that currently on the site two of the products have sold out) and guess what I wholeheartedly agree. A quick note on the scent yes it is Camomile which not everyone is going to love but as far as cleansing products go it is really mild and not at all offensive. To my nose it doesn't really smell of much at all, you can slightly detect it in the cleansing butter - a light fresh floral scent but the two eye make-up removers might as well be scent free. In my opinion even those sensitive to fragrance could use this line. 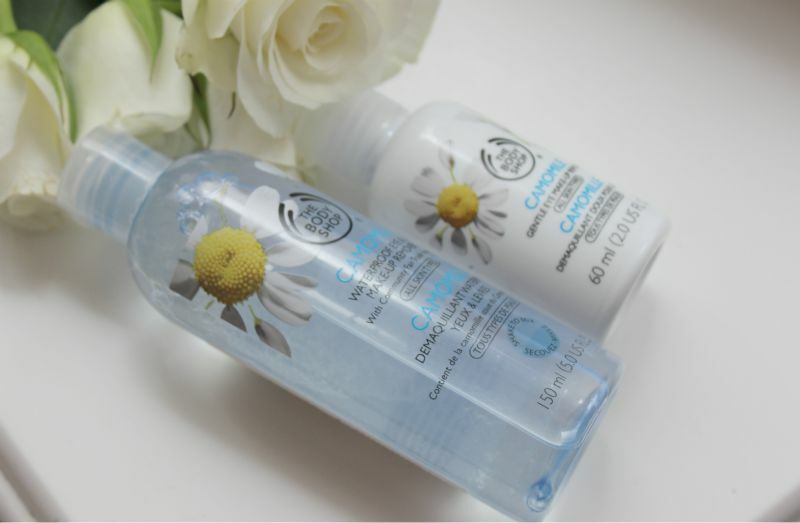 Within The Body Shop Camomile cleansing range there is two eye make-up removers one that is for waterproof formulas and can also be used on the lips and a gentle formula. Truthfully I say skip the gentle eye make-up remover yes it will remove most of your eyeshadow and in some instances eye liner but you do you have to work a little harder to remove all traces of make-up without a little elbow grease which is far from idea on such a delicate area. Instead I highly recommend The Body Shop Camomile Waterproof Eye and Lip Make-Up Remover this duo phase cleanser makes light work of even the most waterproof and smokiest of eye make-up - simply pop a little on a cotton pad, press on your eye for a few seconds and voila! In the past waterproof formulas have stung and irritated my eyes but I can vouch that this formula is as gentle as it is effective and well worth the mere £8 price tag, in-fact it is I rank it higher than a number of high end eye make-up removers cost triple the amount! 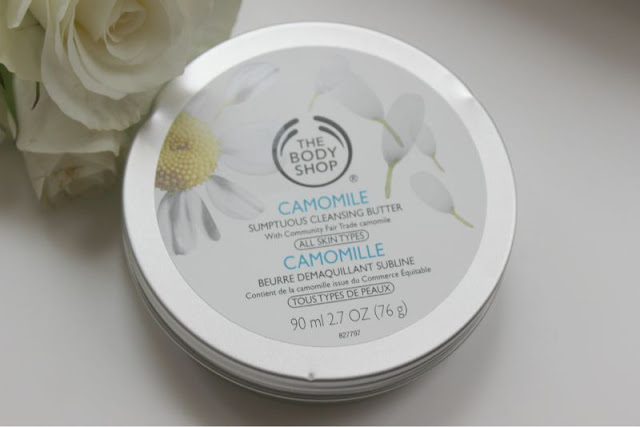 The product flying off the Body Shop shelves is their Camomile Sumptuous Cleansing Butter and sumptuous it is! As far as cleansing balms go this is more of a solid than I am used to and it does require a little warming between the palms of the hands before application. However once warmed up this forms a silky yet creamy almost liquid that instantly melts of all traces of make-up and daily grime. 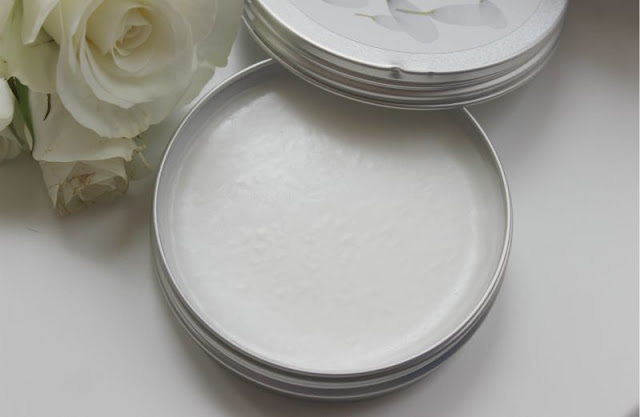 I do suggest doubling this up with a pre-cleanse if you are wearing heavy make-up to ensure every little scrap has gone but for £12 it is great little find that is not laden with nasty ingredients rather it is constructed from natural oils and butters to cleanse, soothe and soften. Will this replace my beloved Aurelie Cleansing Balm? No but it certainly will be used and taken on any travels as the tin is much more travel friendly by design and weight. It's a big thumbs up from me for The Body Shop Camomile cleansing range so much so that I am just about to hit order for the cleansing oil of the same name. If you do want to indulge in such cleansers now is the time to do so as The Body Shop currently have 40% off with the code 14395. Oh this sounds fabulous, ive recently been using bioderma which has been nice and gentle on my eyes but will have to keep an eye out for this! Can't wait to try these. Need some other stuff too so the 40% will come in handy. Thanks! I really like the look of this collection! Need to get myself to the shops! This whole collection looks so lovely! I want to try the eye make up remover! I bought the cleansing oil in the 40% off sale, I've only used it once but I absolutely love it! Really wanna try the cleansing oil! This range sounds great. I love The Body Shop. This looks great & worth trying. My favorite these days is the Moringa range. I've just reviewed the butter and same views, it's absolutely amazing! I bought the balm and the oil on Friday and am loving them both so far! So effective at getting rid of makeup. Love it. I have heard these products are SUPER lovely. I'm tempted to try them but The Body Shop always kind of leaves me feeling a little.. flat. The products are never bad, they're just nothing special.